Are you avoiding white potatoes? Will you miss the potato casseroles that are so typical of holiday meals? Try this tried-and-true family recipe! It's my favorite way to make cauliflower, learned from my mother. 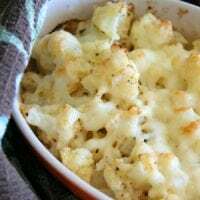 Cauliflower's mild flavor makes for a wonderfully versatile vegetable that can be used and adapted in a number of ways. We often puree ours to use in place of mashed potatoes — or serve it roasted, or in a creamy “sauce” with cheese on top. This recipe can be served with roast chicken, pork chops, or grilled steak. It's the perfect stand-in for scalloped potatoes or a “mock mac-n-cheese”. It can also form the base of a meaty casserole: add bacon, sliced smoked sausage, or cubed ham (healthy versions of course!) to stretch it further. If you are a dairy-free cook, you will appreciate that this does not involve a milk-based white sauce. This is my favorite way to make cauliflower, learned from my mother. It can be served with roast chicken, pork chops, or grilled steak. It’s the perfect stand-in for scalloped potatoes or a “mock mac-n-cheese”. Serves 4. In a medium-sized saucepan with a small amount of water, steam cauliflower until it is cooked through and can easily be pierced with a fork. Drain well and set aside, but keep warm. In a casserole dish, add cauliflower and enough mayonnaise to completely coat it. Feel free to add more to adjust consistency — the more mayonnaise you add, the creamier it will be. Add mustard and stir to combine. Bake for 15 to 20 minutes or until the cheese has melted and is nicely browned. Can you see this dish on your holiday table in place of potatoes this year? How do you like your cauliflower? I’m going to have to give this a try, Jenny! Do you think you could add some chicken to it to make it into a meal? Yes Christy, you could easily add chicken. I would precook (or use leftover) dice it, and fold it in with the sauce. Hi..do you thing Greek yogurt could be used in place of mayo? I’m not sure about that Rhonda. The consistency and the flavor would be entirely different and the yogurt might actually curdle. If you do decide to give it a try, let me know how it works out. I would try it with the greek yogurt! I use Greek yogurt in a chicken dish that replaces mayo and it tastes great! Google Greek yogurt parmesan chicken! I am going to make this to take to our Thanksgiving. I was searching for a low carb side dish! very yummy.its perfect.woild u like to share some recepies make of corn flour?i really need it. Hi Jenny, thank you for the simple recipe with ingredients everyone has in the fridge. 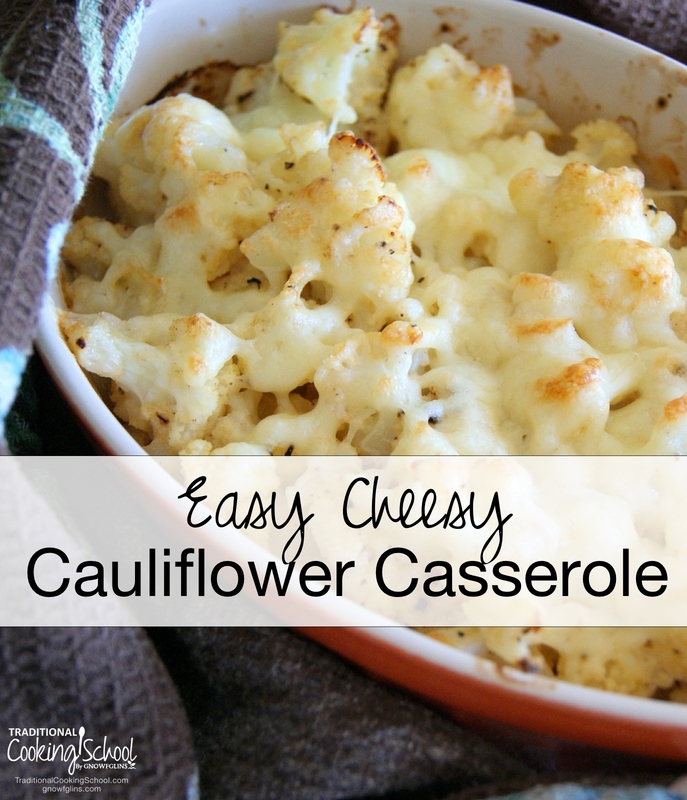 My husband is not a big fan of cauliflower on it’s own but he loves this.